A great way to celebrate India and its 71st year of Independence is by celebrating knowledge of our vast country. indiQa, our online quiz on India for schoolchildren, does just this. 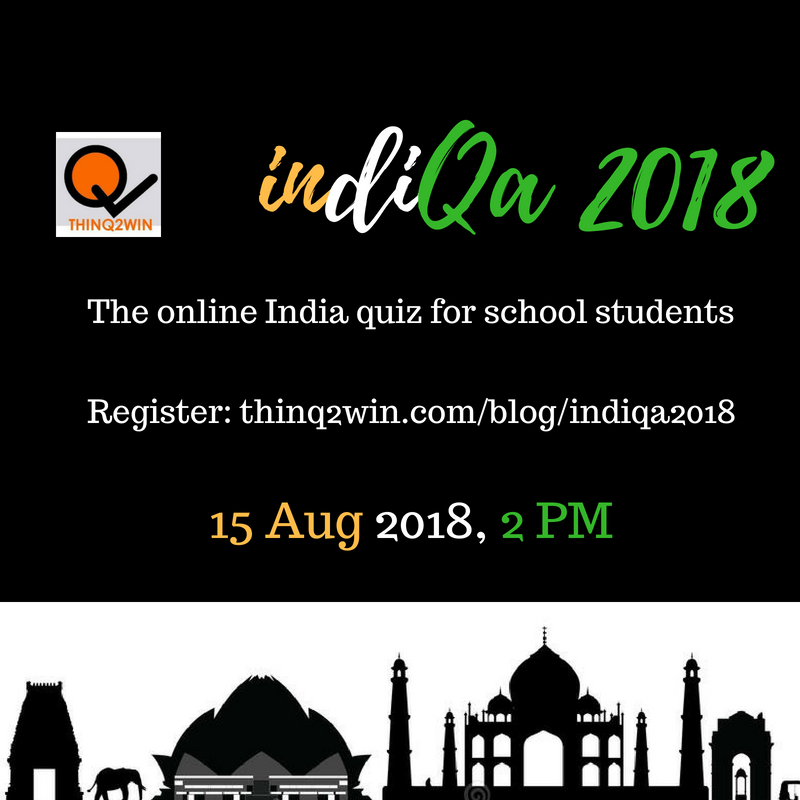 On 15th August 2018, we will be conducting the third edition of indiQa, our online quiz on India for schoolchildren. When: The quiz will be conducted on 15th of August, 2018 from 2 PM IST. Where: It will be held online: all participants will be mailed a link one day prior which will be made active at 2 PM on the 15th. Syllabus: The quiz will span all things India: history, geography, culture, art, politics, business, food, literature, science, technology etc. Format: It will be a mixture of Multiple Choice Questions and questions where participants have to enter answers. Eligibility: Participants must be studying in a class between 5th to 10th standards. The quiz is open to any student from any part of the world. Non-Residents (all grades) - the quiz will be open from 2 PM IST for 24 hours. Results will be announced by 20th August, 2018. We will NOT be sending individual scores to each participants. Answers will be announced by 18th August, 2018 and participants can self-assess their scores. Certificates are only available for winners. To register for indiQa 2018, fill the below form (unable to view? click this link instead). Registration is free. Please ensure you enter a valid and working email address to receive updates. Members of the Thinq2Win mailing list will receive free mini-quizzes on India in the run-up to indiQa 2018. These will be published in our weekly newsletter sent on Saturdays. Get this advantage by registering here. Questions from the previous edition of indiQa can be seen here. Update: For the answers and winners please visit this page.